Saturday(18th June) saw the start of the Jane Austen Regency Week taking place at Alton and at Chawton, Hampshire. This event started back in 2005 as a single day event, gradually it developed into a weekend until we find ourselves able now to participate in 9 days of activities, seminars, dancing etc. 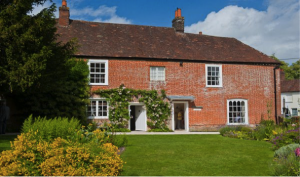 Jane Austen’s House Museum, Chawton House Library, The Vyne, The Curtis Museum as well as more modern sites such as the Watercress Line, a fine steam railway and the Winchester Science Centre and Planetarium. 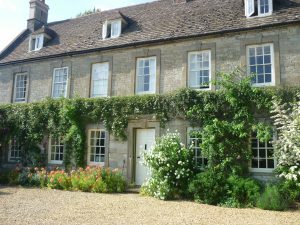 There are many events that still have tickets, so, if you’d like to join in, click on this link: www.janeaustenregencyweek.co.uk/jarw-intro.html for more information. Alternatively, contact us here at Classic British Drama Tours, to book a bespoke tour just for you and your party. Whether you want to visit Lyme Regis or Lyme Park (Pemberley in the BBC P&P series) with dancing in between, we’d love to help you plan a tour to your specifications! Our intrepid travellers are now home – or are almost there – after the 4 day jaunt following in the footsteps of Darcy, Elizabeth and the rest of the Pride And Prejudice characters who we know so well. They’ve seen Lady Catherine’s sitting room with the enormous picture, Darcy’s bedroom at Rosings, the long gallery at Pemberley where Elizabeth saw Darcy’s portrait, Longbourn grounds and church, THE pond, Lizzie’s bedroom at Hunsford (which was one lucky person’s room for the night!) and so much more. The weather was amazing; if not sunny every day, at least warm and dry, which makes for a better tour for everyone…that is up until Friday, when the heavens opened whilst touring the gardens at Pemberley. We were all a tad soggy, but not even the heaviest of rain could dampen our spirits upon seeing Darcy’s beautiful grounds. They are truly splendid, and I get that goosebumpy feel each time I visit. Everyone had a wonderful time, although the days did go too quickly, as is always the case! The next tour is in September, starting on 6th in Bath…join us, we’d love to take you there. A big thank you to Natalie, Ann and Dann for a most wonderful and enjoyable tour! They were very knowledgeable of all things P&P, and tolerant of our Darcy obsessions… 😉 I will definitely be recommending this tour to fellow P&P fans! We had an amazing time. Natalie is such a lovely person and so generous with her knowledge. Please send our thanks to Natalie, Ann and Dann. They made the tour very special for us. I had the best time on the tour everyone was absolutely fabulous. Natalie and Ann was the best tour guides very informative and helpful. Dann was a great driver always with a lovely smile. The locations and hotels were perfect for my taste of England and Pride and Prejudice. We had an unforgettable time! We would like to say a huge thank you to yourself and your team, Ann and Natalie were incredible and Dann was great added company. We had a wonderful time on the tour. Natalie, Ann, and Dann were superb. We are thankful for them and our travel mates – as we bonded as a group. We felt like we were part of the Bennett family as well as P&P tour family! We enjoyed our Pride &Prejudice tour very much, it more than met our expectations. Natalie and Ann were both wonderful guides and to make this trip so very interesting. We had so much fun meeting everyone and could not have asked for a better group of people to share this special holiday. The venues and hotels were so very charming. The English countryside is enchanting and I cannot wait to come back in a year or so to see more of the country. Assisted by Debbie Hill of Classic British Drama Tours, I thoroughly enjoyed my visit to Petworth House and the town of Petworth in West Sussex England. 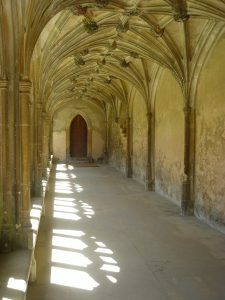 Anyone interested in tours of British cultural/historical places and those associated with British dramas such as Downton Abbey, Poldark, the dramatization of Jane Austen’s novels, etc. would do well to work with Debbie in composing a wonderful bespoke tour.